Smith, who caught three passes for 30 yards and a touchdown in the meaningless season finale, finished the season with 28 receptions on 44 targets for 427 yards and five touchdowns in 15 games in 2018. Smith expects to handle a sizable workload Sunday against Carolina, Josh Katzenstein of The New Orleans Times-Picayune reports. "With Ted [Ginn] being down this week, I'm going to be taking the majority of the load," Smith said after Friday's practice. 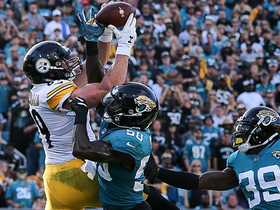 Smith caught his lone target to total 11 yards in Sunday's 31-28 win over the Steelers. Smith caught two of four targets for 15 yards during Monday's 12-9 win over Carolina. 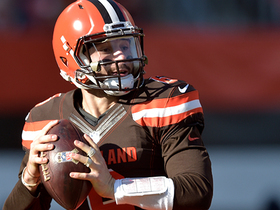 Smith failed to bring in his only target in Sunday's win against the Buccaneers. Analysis: Despite playing 41 of the Saints' 64 offensive snaps, Smith was held without a catch for the second consecutive week. 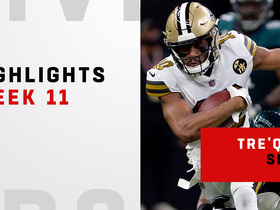 Perhaps the toe injury that kept him out of the Saints' Week 12 tilt is still bothering him, but over the last couple weeks, Smith has not looked like the player who exploded for 10 catches and 157 yards in Week 11. He will be a very risky option against the Panthers next week. Smith failed to bring in his only target during Thursday's 16-10 loss to Dallas. Analysis: The Saints offense was largely silenced by a strong Cowboys defense, though Smith could've helped get things going had he not dropped what looked like an easy touchdown. After averaging 5.2 targets over his previous five healthy games, Smith should be in store for a larger workload during a juicy Week 14 matchup against a Buccaneers defense allowing the second-most yards per pass attempt (8.7) in 2018. Smith (toe) doesn't carry an injury designation into Thursday's game at Dallas. Smith (foot) was officially listed as limited during Tuesday's practice. Analysis: After missing last week with a foot issue, Smith's limited participation early in the week provides some hope that he will return to action Thursday. A better look at his availability for the contest should come when the team releases its official injury report following Wednesday's practice. If he's unable to play, Austin Carr and/or Keith Kirkwood could be in for an expanded role again behind Michael Thomas. Smith (foot) was a limited participant at practice Monday, Adam Caplan of SiriusXM Radio reports. 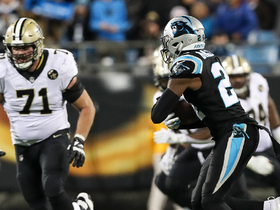 Analysis: Smith missed the Saints' Week 12 win over the Falcons with the foot injury but his presence at practice to start the week is a promising sign. The 22-year-old began preparations for last week's game as a non-participant in practice, so he's seemingly in better shape this time around. That being said, Smith's involvement in practice sessions Tuesday and Wednesday will provide more insight into his chances of playing Thursday against the Cowboys. Smith (toe) is inactive for Thursday's contest against the Falcons. Analysis: Despite managing just one limited practice this week, Smith expressed confidence about his ability to suit up, telling Mike Triplett of ESPN.com on Wednesday, "In my eyes, I'm playing tomorrow." The Saints apparently didn't see eye to eye with Smith and will keep the rookie wide receiver on the sideline, likely to avoid a setback with his toe injury in the second of two games in five days. With numerous targets up for grabs, look for Keith Kirkwood and Austin Carr to step up at wide receiver. Smith (foot), who is listed as questionable for Thursday's game against the Falcons, said he feels good and expects to be available for the contest, Mike Triplett of ESPN.com reports. "In my eyes, I'm playing [Thursday]," Smith said. Smith (foot) is listed as questionable for Thursday's game against the Falcons, Luke Johnson of The New Orleans Times-Picayune reports. Smith (foot) was a non-participant at practice Tuesday, Mike Triplett of ESPN.com reports. Analysis: Smith was originally listed as a limited participant when the Saints first released their injury report Tuesday afternoon, but instead he apparently sat out practice for the second straight day. Wednesday's practice session should provide a clearer idea of the 22-year-old's availability for the Thanksgiving matchup against the Falcons. 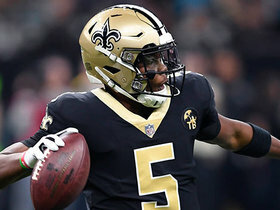 Smith (foot) was officially listed as a limited participant in Tuesday's practice session, Luke Johnson of The New Orleans Times-Picayune reports. Analysis: Coming off a season- and career-best 10-catch performance against the Eagles, Smith was not present at the portion of practice open to the media Tuesday, so he apparently entered the mix later on when the practice was closed off. It's a slightly more encouraging sign for the rookie wideout after he was a non-participant in Monday's estimated session. Smith's status Wednesday should provide a better outlook on his availability for the Turkey Day matchup with the Falcons. Smith (foot) wasn't present for the portion of Tuesday's practice that was available to the media, Rod Walker of The New Orleans Advocate reports. Smith (foot) was listed as a non-participant on the Saints' estimated injury report Monday. Analysis: The Saints didn't hold practice Monday, but Smith wouldn't have participated if the team had held drills due to a foot injury. As a result, his status bears monitoring as New Orleans prepares to host the Falcons on Thursday evening, especially on the heels of a 10-157-1 line on 13 targets this past Sunday versus the Eagles. Smith reeled in 10 of 13 targets for 157 yards and a touchdown in Sunday's 48-7 win over the Eagles. Smith was not targeted in Sunday's win against the Bengals. Smith had two catches on three targets for 23 yards, including a four-yard touchdown, in Sunday's win against the Rams. 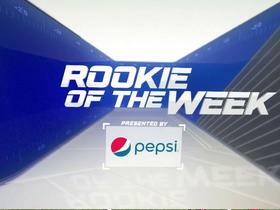 New Orleans Saints wide receiver Tre'Quan Smith wins Pepsi Rookie of the Week for Week 11 of the 2018 NFL season. 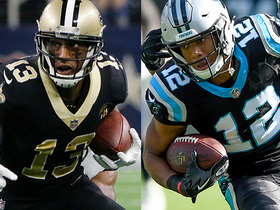 NFL Network's Maurice Jones-Drew highlights five rookies you should start down the stretch to put your fantasy team over the top. 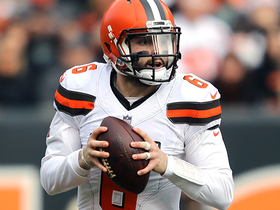 NFL Network's 'NFL Fantasy Live' crew highlights six potential fantasy difference-makers down the stretch who could help lead your fantasy team to a championship this season. 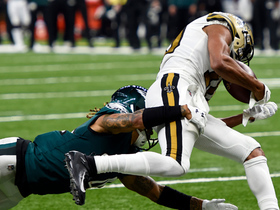 New Orleans Saints wide receiver Tre'Quan Smith had 10 catches for 157 yards and one touchdown against the Philadelphia Eagles in Week 11 of the 2018 NFL season. 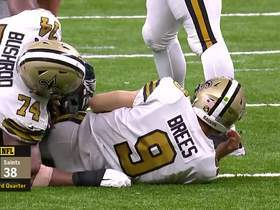 New Orleans Saints wide receiver Tre'Quan Smith lays out for an incredible 38-yard snag on a pass from his quarterback Drew Brees. 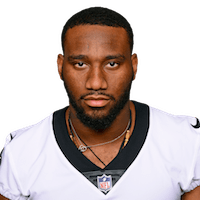 New Orleans Saints wide receiver Tre'Quan Smith breaks three would-be tackles on a 22-yard catch-and-run.